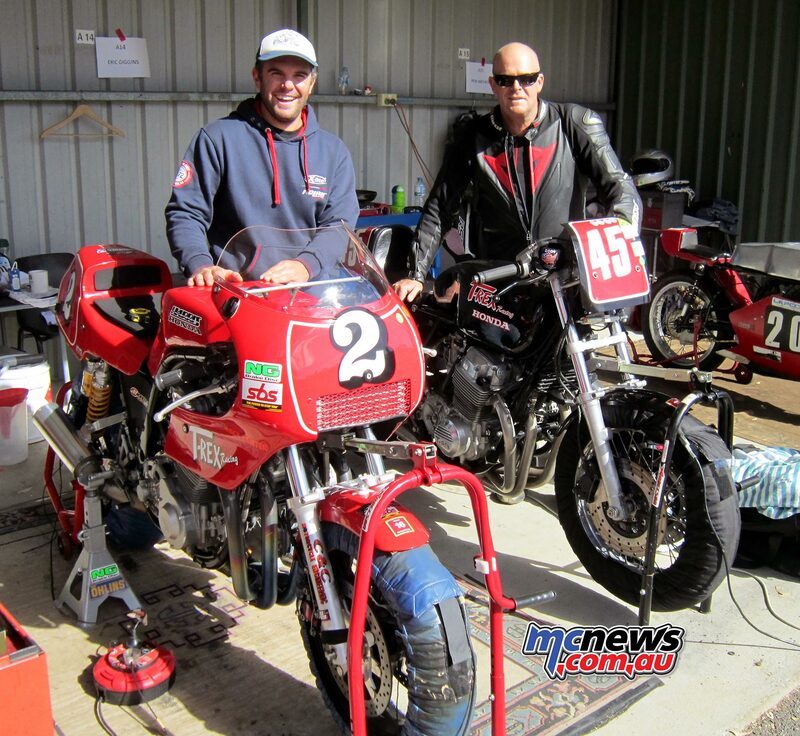 The 2nd & 3rd of April saw the annual running of the “Vics” at the Victorian State Motorcycle Complex Broadford just north of Melbourne. HMRAV in conjunction with Shannon’s Insurance put together yet another huge event. After the amount of classic racing so far this year, commencing with the International Island Classic, then The Barry Sheene Festival of Speed and the Penrite Broadford Bike Bonanza, those latter two events both run over the Easter weekend, one could have expected a depleted field of both competitors and spectators. However, this was far from the result over the weekend, with oversubscribed fields in every class, more races than most will ever see at a road race meeting and a huge amount of spectators. It appears that Historic and classic bike racing is only growing stronger and stronger as the years pass. The sheer numbers I would guess eclipse any of the club events for modern bikes run in Victoria. Machines again ranged from the immaculately presented factory exotica to hand built specials and right down to the mum and dad back shed built bikes. Yet not one of these bikes was there for show. As HMRAV President Brian (Marchy) March stated “Our bikes are here to race hard, not show pieces” and race hard they did. With over 33 Qualifying and Warm up sessions and 46 individual races, there was not a single moment where the spectators had much time to do anything but enjoy some hard racing. It’s a credit to HMRAV, Race Solutions and all the officials and volunteers who combined to deliver what was simply classic racing overload. The Post Classic period 4 unlimited and Forgotten Era period 5 Unlimited are always highlights of these meetings. With huge horsepower, well tuned chassis and refined suspension, they produce fast lap times and big speeds down the main straight. In addition, it’s always great watching the riders trying to keep the front wheels on the deck over the hump on the back straight, coming out of the esses onto the pit straight and for some of the bikes, keeping the front wheel in contact with the tarmac coming onto the main straight. Eric Giggins on his Methanol powered Rex Wolfenden built T-Rex Honda CB1000 was consistently fast. Not only taking out three class wins, but also finishing 2nd in each race against the Forgotten Era bikes to end the weekend with an unblemished record. Darren Tindale ended the weekend with 2nd in the Post classic class with a strong 3rd and three 2nd places on his 1970 Honda CB750. Craig Hemsworth on the Lewis McEwan 1971 Harley Davidson XR1270, showed consistency with a 2nd and three 3rd places to round out the last step on the podium. Former dirt tracker and national Supersport and Superbike road racer, Chas Hern was in a class of his own on the Harris F1 T-Rex honda 1150 all weekend, lapping consistently in the 59’s without being challenged. He even had enough buffer to offer a gentlemanly act in one race, slowing on the last lap to not lap a rider and enable them to also greet the chequered flag. On that lap, he still posted a faster lap time than the rider in 2nd place. 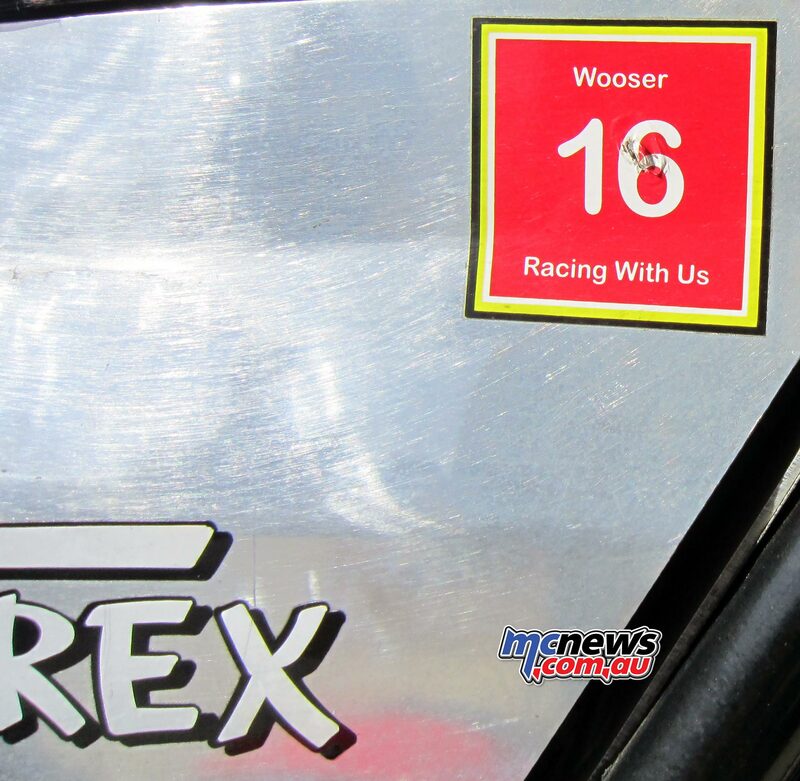 Given his racing pedigree, his recent win at the Barry Sheene Festival Of Speed on the T-Rex Bimota, and his continuous track time running rider training at the Murray Valley Training Centre, just outside of Wodonga, it was expected. Not to mention the bike he was riding had significant development previously in the hands of Jed Metcher prior to his departure overseas. However, Chas hadn’t ridden the bike before the weekend, so in reality he rode fantastically well all weekend and his results were well deserved. Rex also worked hard all weekend keeping the bike on song and fine tuning it after each outing. Robert Ruwoldt on yet another Harris framed bike, this a 1980 Kawasaki 1200 ended the weekend with the 2nd step on the podium. His consistent finishes being the key with two 4ths and two 3rds throughout the weekend. 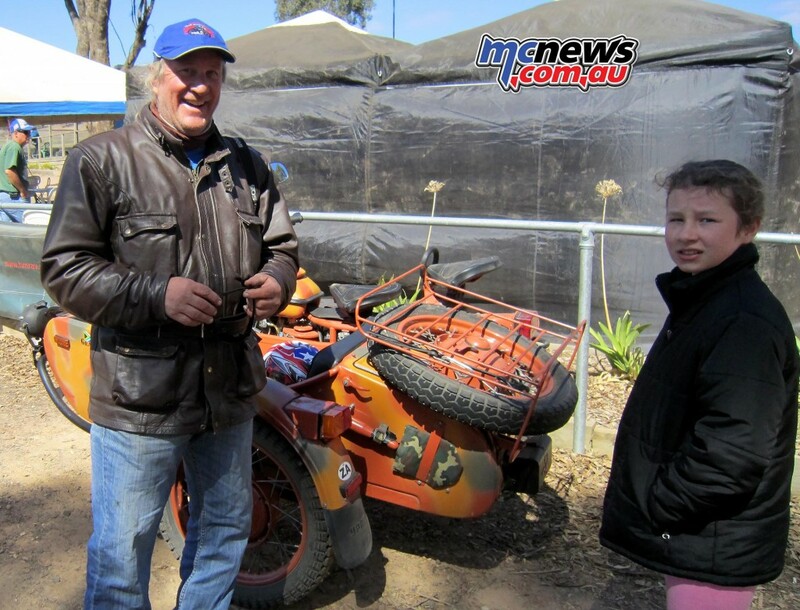 Mark Bond from Ararat on his Brassballs Motorcycles 1976 Kawasaki Z900 was third for the weekend again consistency being the key. Two 4th places and two 5th places securing the result. Steve Maloney on the Toss Dog Racing 1980 Suzuki GSX1160 is worthy of mention, he finished 5th overall, despite taking three 2nd places for the weekend. A DNF in the final race destroying his chances of taking 2nd overall for the meeting. David Campbell on the #51 1972 Honda CB350 took the class win with three 2nd places and a first place, consistency being a key to his success and a theme throughout all classes over the weekend. Keith Campbell on his Murrumong Vineyards #3 1972 CB350 took 2nd overall. A lack of consistency being his downfall, with three wins however a DNF ended his chance to take the overall win. Dave Keenan’s consistency with two 4th, a 3rd and a 2nd rewarding him with a 3rd place overall on his #2 1970 Yamaha TD2. 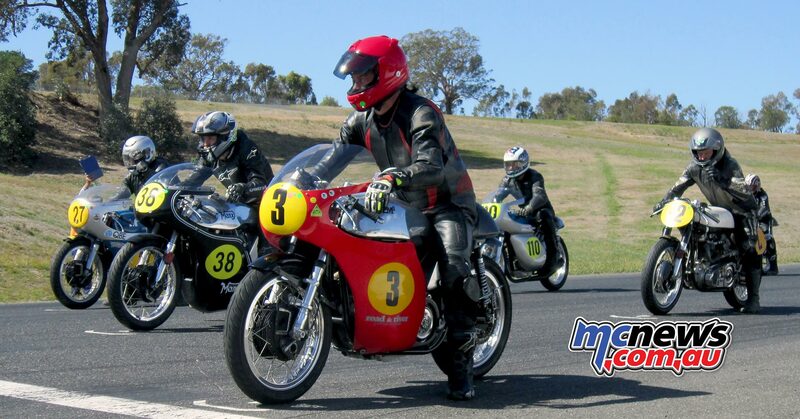 Chris Pash took 4 solid wins and the overall win for the weekend on his #143 1972 Suzuki T500. Danny Ahern managed 2nd overall on his homes For Every Lifestyle 1972 Matchless G50, again consistency with three 2nd’s and a 3rd being the key yet again. Daniel Kelly riding the Team Africa 1970 T500 Suzuki, took 3rd place for the weekend with 3 thirds and a 2nd. Lachlan Hill on the Ron Angel Classic Racing 1977 Yamaha TZ350 took four convincing wins to take the overall honours for the weekend in the Forgotten Era 350cc class. Chris Hayward on the Homes for Every Lifestyle 77′ Yamaha TZ350 claimed 2nd for the weekend with a consistent four 2nd place finishes. Filling the final step on the podium with consistent finishes was Kevin Youngson on his fantastic looking 1981 Yamaha RD350LC. He took four 3rd places for a well deserved result. Lachlan Hill on a 1979 Rotax 250 took four wins to take the top step on the podium and overall win for the weekend. 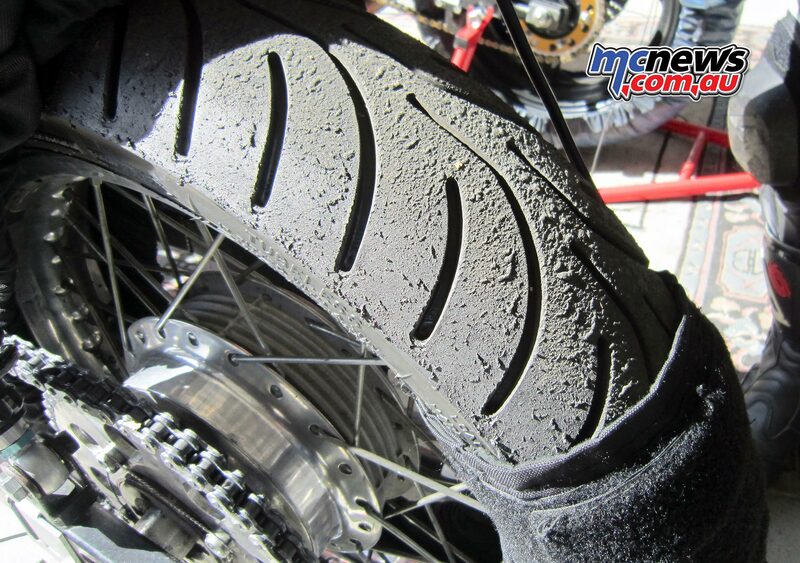 Mick Maloney showed what consistently finishing does for results on his 1981 Yamaha RD 250LC. He rode hard all weekend taking two 3rd places, then a 4th and a 2nd place to end the wekend 2nd overall. Ben Shaw on yet another Yamaha RD250LC, this time a 1980 model, also proved consistency to be the key to gain the final step of the podium with 6th, 4th, 2nd and another 4th place securing his result. The sidecars proved a huge hit with spectators all weekend in all classes. In the classic up to 650cc class, Geoff & Wal Dodds on the D&D Racing 1960 Thunderbird took the top step with three 1st and one 2nd place. Stuart Gorrie & Alaina McCarthy proved a good combination to take 2nd place overall for the weekend with three 2nds and one 1st place on their 1957 BSA B33. Yet another 1960 Triumph Thunderbird took out 3rd place honors. Geoff Allport & Toby Frisch taking three 4th’s and a solid 3rd. A fight between two Nortons and a beautifully presented Harley Davidson decided the winners in the Classic Unlimited races. With the Harley splitting the two Nortons for top honors. Garth francis & Paul Kenny on their 1960 Norton 750 took four convincing wins to secure top place. Dave Philpots & Jason Skews on their Numbskull Racing 1962 Harley Sportster managed 2nd overall with four consistent 2nd places. Battling with a tired motor which had severed a head bolt on the Saturday and was being nursed to the finish each race were Michelle Loone and Bec Betteridge on the Otway Metal Works 750 Norton Atlas. They raced hard with just enough in reserve to keep the motor from disintegrating, making it last the entire weekend and ending up with three 4th places and a 3rd in the final race to secure the final podium place. For those who missed the first round and want to catch all the action, round two, Historic Winton, will take place on the 28th and 29th of May at Winton Motor Raceway near Benalla. Previous articleYamaha 04GEN | Scooter to the future?